Impact Factor, often abbreviated as IF, is one of the quantitative tools for ranking, evaluating, categorizing, and comparing journals. It is a measure of the frequency with which the "average article" in a journal has been cited in a particular year or period. The annual impact factor is a ratio between citations and recent citable items published. Thus, the impact factor of a journal is calculated by dividing the number of current year citations to the source items published in that journal during the previous two years. Calculation for journal impact factor. There have been many innovative applications of journal impact factors and the most common involve market research for publishers and others. 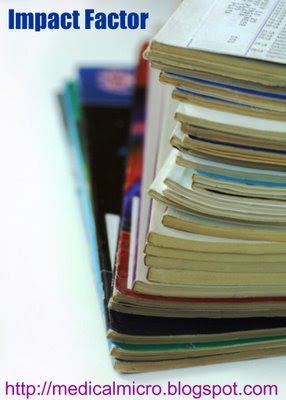 In market research, the impact factor provides quantitative evidence for editors and publishers for positioning their journals in relation to the competition--especially others in the same subject category, in a vertical rather than a horizontal or intradisciplinary comparison. The most important and recent use of impact is in the process of academic evaluation. The impact factor can be used to provide a gross approximation of the prestige of journals in which individuals have been published. This is best done in conjunction with other considerations such as peer review, productivity, and subject specialty citation rates. The impact factor is a very useful tool for evaluation of journals, but it must be used discreetly. Considerations include the amount of review or other types of material published in a journal, variations between disciplines, and item-by-item impact.